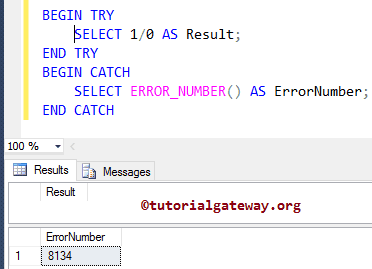 Every error is recognized with a specific number and this SQL Error Number function will help us to fetch that error number, when the SQL server identifies error during the query execution. This function works within the scope of a TRY CATCH block. 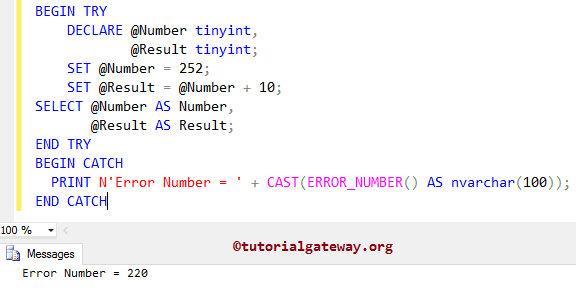 For example, we write series of statements inside the TRY block and if the SQL Server finds error then ERROR_NUMBER() inside the CATCH block will be executed, and returns the corresponding error. TIP: The ERROR_NUMBER() function takes no arguments, and returns integer value as the output. In this example we are going to show you, How to use the Sql Server Error_Number function to return the error number. Next we assigned 252 to Number variable and 262 to Result variable. In this example we are going to find the result of 1/0. As we all know that the above statement will throw an error. 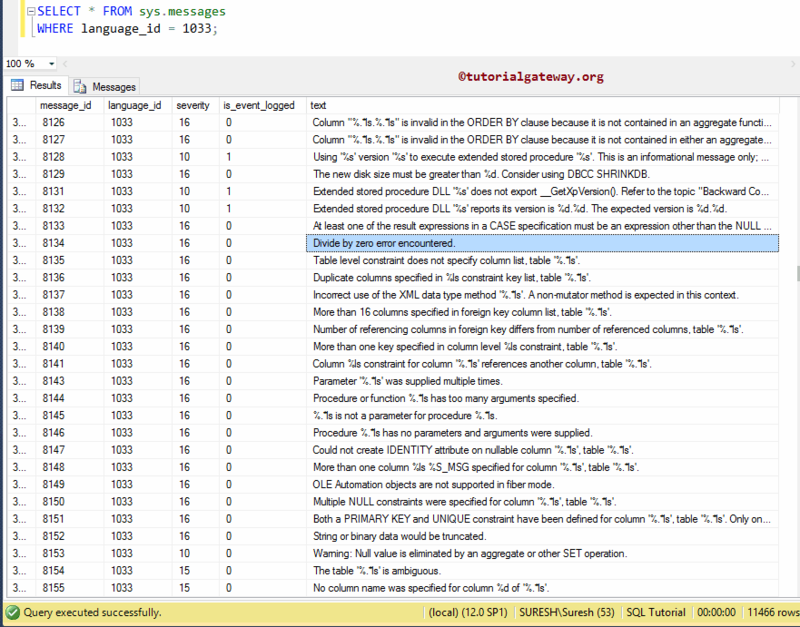 So, SQL Error Number statement inside the CATCH block will be executed.